The 500km Team Endurance Relay sees participants start running at the break of dawn and continue in a non-stop relay until sunset. 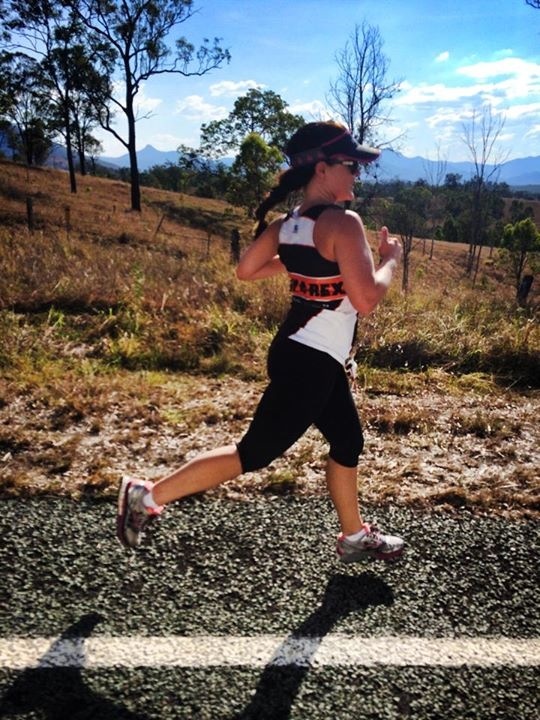 Throughout the day runners are tested physically and mentally by a challenging course and the extreme heat of Queensland’s summer. Even reading that, I didn’t realise how absolutely true that last sentence was. I was certainly tested physically to push out some of the best (and some not so great) running I have ever done, I was challenged mentally to get of the bus and run and keep running in the most extreme heat I have ever experienced. But what this description didn’t prepare me for was the wonderful atmosphere the event would have, the amazing people I would get to meet and the number of truly inspirational people that I would have the pleasure to see run over the weekend. It all started early Friday morning, when after setting my alarm for a ridiculously early time, it was time to make my way to the start at Griffith Uni. At this stage I still had absolutely no concept of what the following three days would entail- how the relay worked, what legs I would be running, where we would be eating/sleeping/toileting, and definitely no idea just how hot it was going to get. When I arrived at the start, I walked around and around looking for Team T-Rex, who were no where to be found. I did start to panic a little as I didn’t want to miss the start and let down my team…luckily the busses were just running late and soon enough, after finding another lost Rex, we spotted the group of people who we were about to become ALOT more familiar with over the following 3 days. The weekend was off to a flying start with 2 criterium races at the university before the relay started. I was in the second crit race and was soon to learn just how fit and fast the rest of my team was- this was going to be a much faster weekend than I had thought. 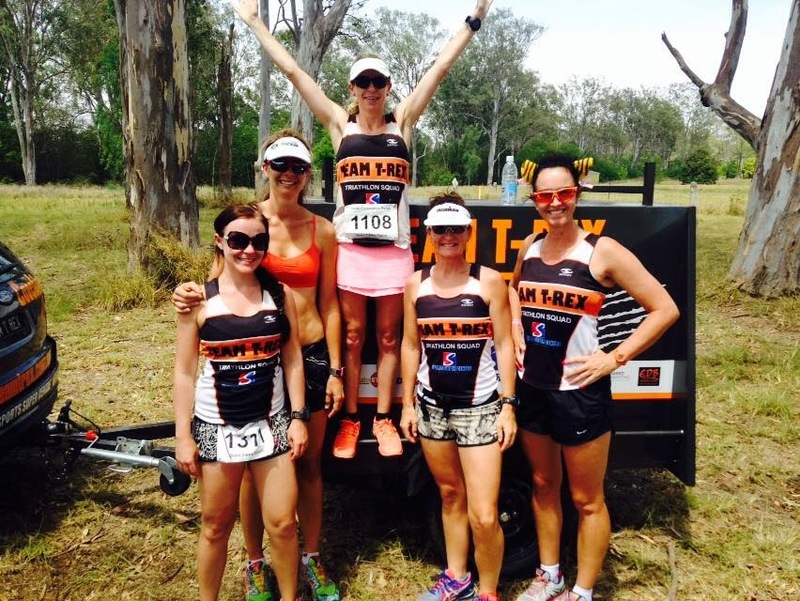 After the crit races, we all jumped on the bus and headed to Boonah where we would start the relay. The format for the relay component of the weekend was that one runner from each team would run each leg of the relay before tagging the next runner at the changeover point (the sight of red cones and the water truck would soon become my favourite thing to see!). Each runner was followed by a support vehicle for safety and the rest of the team and water truck would pull over as often as possible to cheer on each runner and offer water and support. Before the first leg was even over, I was excited by the atmosphere and for what the rest of the weekend would bring. The day certainly continued to warm up, and the legs were far from flat and easy. 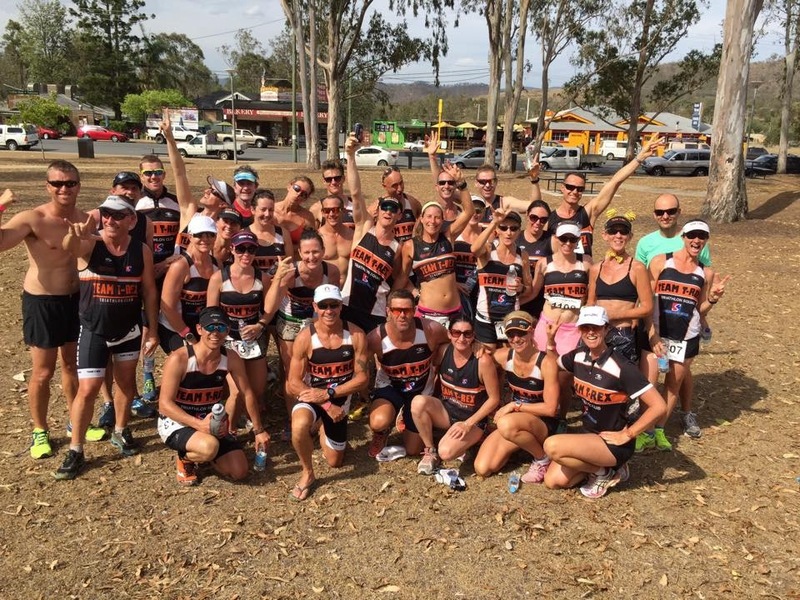 We all stopped in Rathdowney for lunch, although it was a little to warm to feel like eating, before the starts were staggered depending on teams placings so far. My leg was after lunch, and as it approached my nerves really started to grow and my mind started to feel with self doubt. Would I run fast enought, would I cope in the heat, would I stay mentally strong enough to keep going. 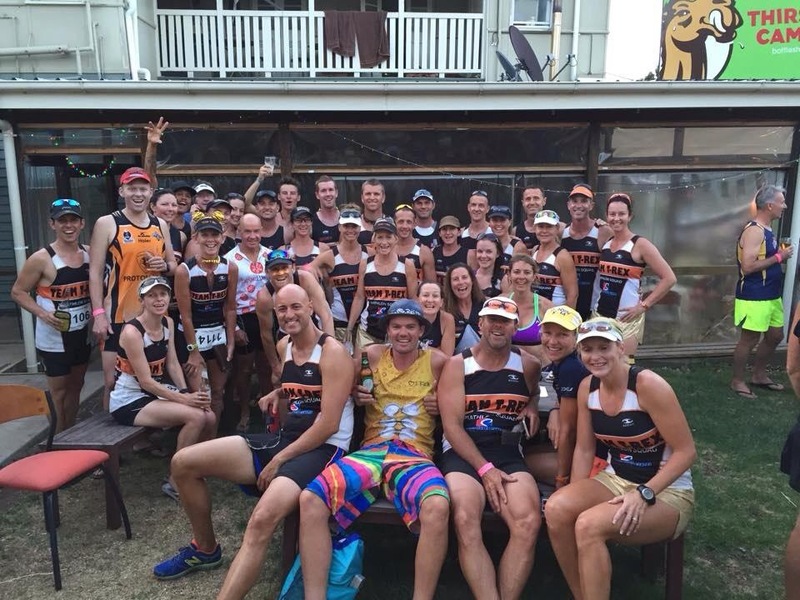 The thing I love about triathlon is its all about my race…but in this situation I was part of a team and at this point in time I was part of a team that was doing VERY well. The same reasons I avoided team sports at school came flooding back- it wasn’t because I don’t like working with a team but the fear of letting the team down. I need not have worried. 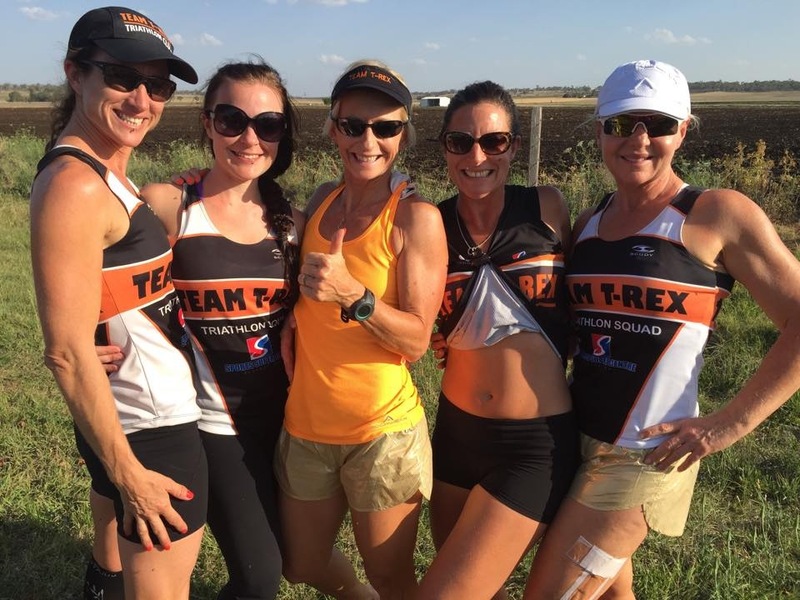 The whole T-Rex team were beyond supportive during my entire run. Depsite being an intruder for the weekend and the fact that most of them had known me for less than a day, the cheering and support was amazing. They cheered at every pass and stopped often to give me water, cheer me on and even give me a pep talk t keep pushing. I was most grateful for those that ran along side me during these stops to give me the water and encourage me to keep pushing. Soon enough my first relay leg was over, and not only over but it was a 5km PB! I had turned those negative thoughts into fuel to push me and managed to run faster over that 5km than ever before! No it wasn’t fast by the standards of the rest of the team, but it was fast for me and the effort I had put in was well and truly acknowledge by every one else. I was officially part of a wonderful group of people that would continue to push each other over the weekend to do the best they could in truly tough conditions- and I couldn’t be more honoured to be part of the T-Rex family for the weekend. 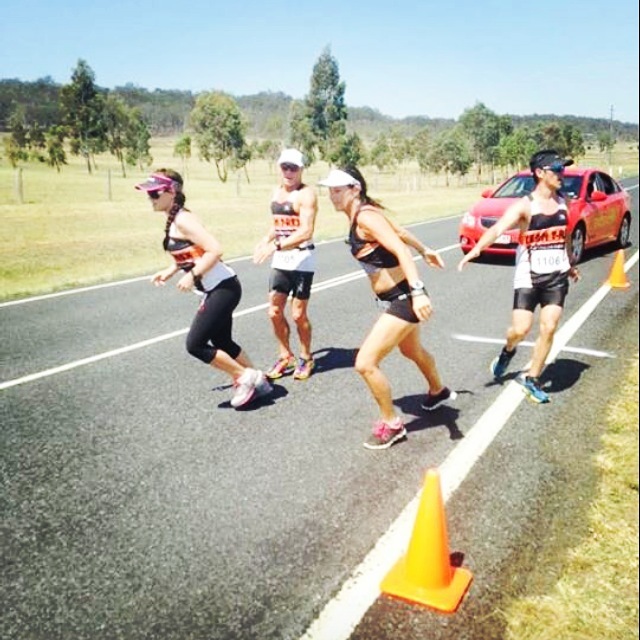 We continued to follow the last of the days relay runners into Boonah, where some of the fastest runners would push themselves to the limit in a 3km crit race. What a great end to the first day! We then headed to to Warwick for the night, where I was very lucky to have a room to myself. After a much anticipated shower, the exhaustion of the day set in and I collapsed in bed in the cool of the airconditioning. With the alarm set for 3am the following morning, so we could get up and do it all again on what was going to be an even hotter day. The morning started with a series of crit races out of Warwick, before the relay format would restart and we would head out and back in a loop to arrive back in Warwick for lunch. My first run of the day was to be one of the crit races, which a nice 2.8km with a bit of a hill at the start. I headed out strong and felt good, but did struggle to maintain my initial pace. Arriving at the finish I was still happy with my race and with how I was pushing my body this weekend- it was certainly making me a better runner. My next run wasn’t until after lunch, where it was set to be very warm. The rest of the morning was spent cheering on the rest of team T-Rex who were out running as the mercury kept rising. As we approached our return to Warwick, I was faced with a dilemma. I was the 2nd leg after our lunch stop- and so ideally I wouldn’t have lunch (which was my original plan) but I was starting to get very hungry (after having breakfast very early that morning). Well we live and we learn don’t we- I ate and paid for it on my run. Let’s just say it didn’t sit well and after stopping in an attempt to ’empty’ my stomach, I pushed on but finished the rest of the run feeling truly awful and at a less than ideal pace. It was officially my worsrt run of the weekend- but yet again my teammates were all very supportive and encouraging. By Saturday we had started running in pairs (one member of each team) and I was truly grateful to have Chrissy running with me for that run- she was so encouraging and did everything she could to try and distract me from how I was feeling. Without her there I am not sure I would have finished the run- thank you Chrissy and to all the wonderful T-Rex members who did everything they could to cool me down as frequently as possible. Luckily that was my last run of the weekend- I couldn’t stomach food or water for the rest of the afternoon. I did manage to get some food on board at dinner that night, but was still struggling to rehydrate adequately. We finished our day in Greenmount, before heading into Toowoomba for the night. The combination of feeling off and the warm weather did not make for good sleeping conditions for our night in Toowomba. I went to bed not knowing what legs I was running the next day, only to wake up to the pleasant surprise that I was doing the first crit race at the uni. I was up against some very fast runners (and they were just T-Rex’s!) but was very fortunate that one very kind member of my team ran with me. Before this weekend I had never been one to enjoy running with someone, but it is definitely something I could get used to. With the crit over, it was time to head down the range and catch up with the rest of our team who had already started the relay for the last day. 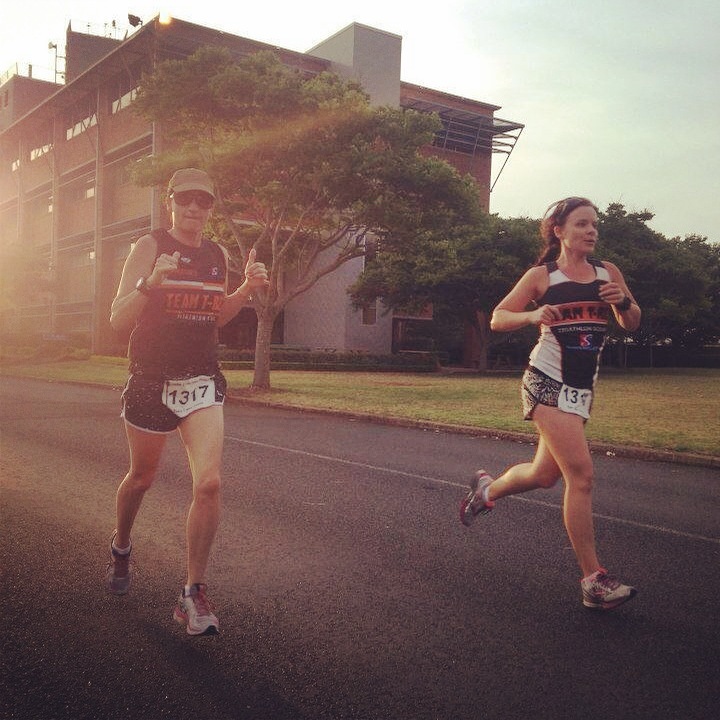 There had already been some stellar efforts of those runners who left Toowoomba uni and those that ran the steep downhill of the range. It may have been Day 3 but the runners were still pushing on strong. My next run leg was shortly after the breakfast stop in Gatton. With my lesson learnt from the day before- there would be no breakfast for me. It was really warming up by the time we were having breakfast, and the temperature continued to climb throughout the day. Given the temperature reached 44’C as we got out of the car to start our next leg, I was very happy to be paired with a runner that would go at my ‘steady’ pace. The conditions may have been just as hot as the previous day- but this 5.4km was my favourite run of the weekend. Don’t get me wrong- whilst I was running I was not paritcularly happy about the whole idea, but literally as soon as I was finished that run I felt FANTASTIC and had the best endorphin high. 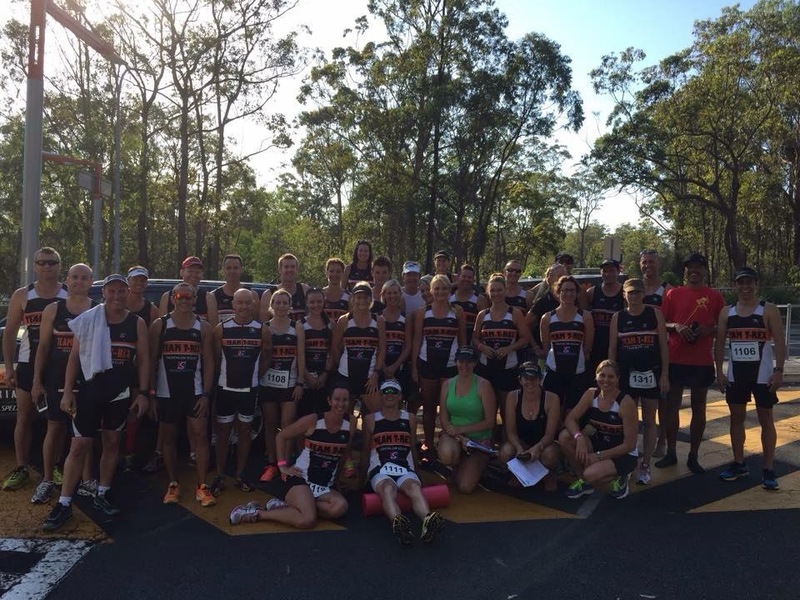 Suddenly all the pain, the heat and the exhaustion of the last two and a half days had been forgotten and I was acutally looking forward to my last run of the day- the final crit into the finish line at Fernvale. After a short stop in Loowood, the final two runs of the day were about to get started. Those that had done Endeavour before had warned that both of these runs were HOT and tough- and this year was only going to be worse. They weren’t lying- it was hot, my legs were chaffing and I was just exhasted. It was so hard to keep pushing along for those last 4km, and even though my pace was way up from where it had been the rest of the weekend, I was still struggling. Approximately 100m from the finish we stopped and waited for the rest of the T-Rex runners to catch up, and in the true spirit of the event we crossed the finish line together under an arch of other T-Rex’s. What a weekend and what an achievement. My body tolerated more than I ever thought it could in terms of heat. I pushed my body to PB despite the heat. And most importantly I made so many new friends and I can’t wait to join them to do it all again in 2015!